We have had Apple rumors all over the place. Now there is another one to gossip about. 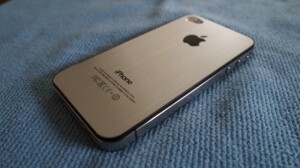 iPhone 5 was being expected to be launched this September and also was expected to coincide with iOS 5. However a new rumor is out that says it will actually be delayed until October. It makes a little bit of sense if Apple plans to hold its usual music event in September as it did last year, and perhaps it wants to give the iPhone 5 its own show and event. The news broke our from AllthingsD which said that its sources with knowledge of the situation reported that AT&T has blacked out employee vacations during the two weeks of September in preparation for a retail debut of the next iPhone. However they were misinformed. “I don’t know why AT&T’s calling for all hands on deck those weeks, but it’s not for an iPhone launch,” a source familiar with Apple’s plans said. According to other sources, October is the month for the iPhone 5 launch. While it’s only two months away, it might not be a good time to buy an iPhone 4 if you were planning to get one. Apple of course won’t say a word because it will bring down the iPhone 4 sales which have been going strong. No details about the iPhone 5′s hardware or design were given, but we’ve learned from previous rumors that it will have the 1GHz, dual-core A5 processor found in the iPad 2, an 8MP camera with a dual-LED flash, dual GSM/CDMA capabilities and a completely new design. Historically, Apple has launched its new smartphones in the summer, but this year there was no word of a new model of the iPhone. Current Apple smartphone users with the latest model have had to wait more than one year to upgrade, which is probably the longest period of time an early adopter has had to go before a new iPhone. Are you running out of patience yet? Previous Microsoft Attacks Google with the GMail Man! Next Is this the iPhone 5?